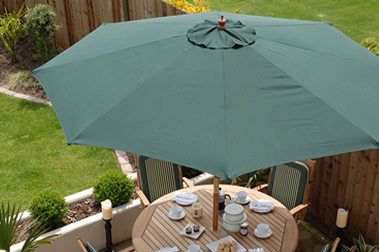 Sturdi Premium parasols are available in three colours Green, Natural and Black. 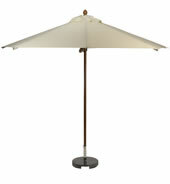 The parasols have removable covers to allow for machine washing 40°C. FSC Eucalyptus Wood - 190gram Olefin, Double Pulley, Single 48mm Pole, Stainless Steel Fixings.